Various internet news websites are reporting that the price of the game will be quite high, but please note that this is for the Japan version units with Internet capabilities and network play. We believe that Namco will soon announce an Export version at lower pricing. Like its processor, Tekken Tag 2 lets players select two characters for the fight. Players can switch between these players during combat and can perform tag-based combos. 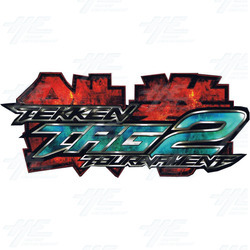 New to Tekken Tag 2 is a tag-based throw system that allows two characters to combine for a cooperative throw move. The game will also feature a "Stage Gimmick" system where players can destroy a section of the arena and continue fighting in a newly-revealed area of the battle field. Like past titles in the franchise, an Item System allows players to customise their fighters with different items. Some of these items (such as the bat and the hammer head) can be used for attacks. Tekken Tag Tournament 2 has been described as having "the ultimate character line-up in 3D fighting game history". Returning characters include: Heihachi Mishimi, Jin Kazama, Jinpachi Mishimi, Aauka Kazama, Martial Law, Miguel, Kazuya Mishima, Bob, Ling Xiaoyu and Zafini. The game will also introduce a new character named JC, a masked female who uses an acrobatic form of wrestling that makes use of her full body. Tekken Tag Tournament 2 will also utilise a new player card system.